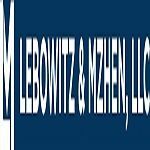 At Lebowitz & Mzhen, LLC, our injury attorneys have over 20 years of experience. We have successfully represented personal injury victims in Baltimore, and across the Maryland and Washington, D.C. in cases involving nursing home negligence, car accidents, motorcycle accidents, medical malpractice and more. We tailor our services to meet each of our client's needs. Our legal team is prepared to vigorously assert your rights, and to help you seek the compensation that you deserve.